Businesses, communities, and ecosystems everywhere depend on clean freshwater to survive and prosper. When the same source of water is shared for economic, social, and environmental causes it becomes the responsibility of every sector to develop a sustainable water strategy beneficial for all. 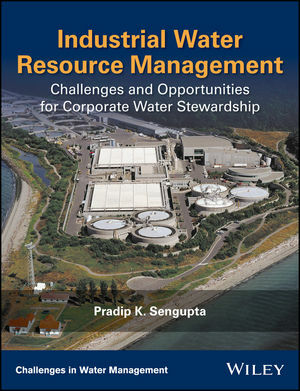 This book offers a water resource management plan for industries that is directly implementable and consistent with the Water Framework Directives of different countries with a special emphasis on developing countries—a plan that is economically efficient, socially equitable, and environmentally sustainable. Given the well-known challenge of managing natural resources in a way that maximizes and sustains social welfare, this book provides an invaluable point of reference for applied researchers and policy makers working in water resources management. Pradip K. Sengupta, Hydrologist, works at the Jadavpur Centre for Study of Earth Science, India.